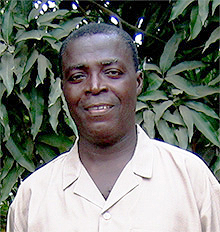 FHI was founded by Ghanaian evangelist and experienced christian worker Kofi Odum. It was through disability in one of Kofi's own daughters that he became sensitive and compassionate towards children with disabilities. Kofi was touched when he enrolled his daughter at Cape Coast School for the Deaf in 1988, as he noticed abject poverty among the majority of the children he met at the school. There was inadequate educational infrastructure and equipment, and a lack of teaching aids for the school to enhance teaching and learning. All this moved Kofi to start thinking how he could help the pupils in the school with better boarding facilities and with the general development of the school to ensure quality education and training for the handicapped. When it became obvious to Kofi that the majority of disabled children around the country would never have access to education or training because of poverty, he determined to help them by visiting rural areas and providing funds and a structure that would enable any disabled child to enjoy all the opportunities open to them.